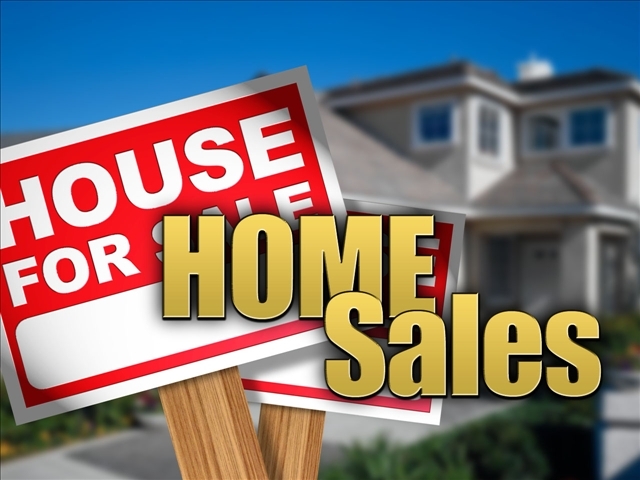 What Do Foreclosure Homes & Power of Sale Mean? In Canada, there are two ways that a lender can recover funds from a default on a mortgage. Power of sale, which is practiced primarily in the provinces of Newfoundland, New Brunswick, PEI, and Ontario, involves very little influence from the court. Judicial sale is the common practice of British Columbia, Alberta, Saskatchewan, Manitoba and Quebec. Nova Scotia uses the term “mortgage foreclosure” but it is also considered judicial. As “power of sale” was initially developed in Ontario by lenders who wanted a faster way to dispose of property and recover debt you’ll find that foreclosure proceedings in Ontario are quite speedy. More often than not the structures to carry out quick foreclosures through power of sale provisions are often laid out in the original mortgage documents themselves. This can allow lenders in Ontario to sell property after the borrower’s default (15 days notice) without having to resort to the courts. Are they Real Bargains for Home Buyers? All such legally forced sales are not good bargains. It depends on the Lender policies and what is the total amount of default for recovery as compared to current value of the subject property. Most of the lenders may go for upto 3 appraisals in the process and price it for the highest appraised value. On the other hand, there may be times when the amount to be recovered is very less for the lender and a formal appraisal was not done. Or even if the appraisal was done, it was for a considerably lower price, in such cases what is left on the table may be attractive bargain. Sometimes as much as 10%-25% lower then the market value. Your Qualified and experienced REALTOR® may be able to give you some insight here after doing a comparative market analysis for the subject property. What about the Money required For Renovations? Many times, you will find that above property may not be in the greatest shape. If considerable savings are on the table with the help of a qualified contractor, you can estimate the amount required to restore such property. Based on that you will need to prepare your offer and offer what is reasonable for the property. If price is finally agreed by all parties involved, you will need to apply for a Mortgage which is able to give you Renovations credit based on the formal quotation of your contractor. Such mortgages take little more time for approval. Your Qualified and experienced REALTOR® may be able to refer you to few such lenders/Brokers who can help you with this requirement. If you are kind of Buyer, who is looking for a bargain i.e. getting a property lower then market value? Well then keep in mind…..no pain….no gain is what you need to remember. You have to take a calculated risk with help of your Qualified and experienced REALTOR®, Contractor and then a Home Inspector. If you want to buy a ready to move in, shining and well priced property under the market value or even on right value…..then welcome to the club of 1000s of Buyers who share this dream with you i.e. “I want best for less”. You shouldn’t be surprised when you see multiple offers on table for such property……as buying such property without competition is a rare chance no matter which time of the year. Sometimes when budgets are tight buying fixer upper homes and condos can be a better solution, specially if your REALTOR® have shown you few shortlisted houses as per your wish list and they are costing more then what you can afford. 1. We 1st try to Understand Your Goals and your risk taking abilities by showing you few properties of all types. If we feel you are not able to see beyond cosmetics of the home……we will try and find for you ONLY the properties which are ready to move in. In such scenario, fast reaction is extremely important as such properties don’t stay for very long in the market. We have set up a unique Buyer’s profiling system, which will advice us within few minutes, when a property matching your criteria of selection comes in the market. As by the time it touches the public MLS…..it may already be sold. So, with us, you will be informed immediately for any such property and if you are available, we will schedule a showing for you right away. This will put you ahead in the game as if you will be interested in pursing this further, we will try to present your offer same day to secure such property for you. 2. If you are the Investor’s category who is willing to take the risk to get the bargain, we then target Run down homes for you which can be power of sale/bank sale, private or public sale. Experienced REALTOR® always have ways to sense the pressure of a Seller. With our experience, we are able to give you rough estimate of the project right away before you even decide to consider it. If you end up liking what is on the table, we will start the negotiation process with the Seller. Once price is agreed, we will, with the help of one of our discounted contractors and a licensed inspector help you determine exact cost of such renovations. If all looks acceptable to you, we further help you get in touch with Mortgage Brokers, who can get you Mortgages with renovation loan. Once all such conditions are fulfilled and you are satisfied with everything on the table, we help you firm up the transaction. All above professionals are arranged for, if you request to do so. It is not a mandatory requirement to hire whom we are recommending. If you have your own preferred renovators, inspectors or mortgage lenders, we will be more then happy to work with them. Important thing to keep in mind on Foreclosure homes and power of sale properties is that they come without any kind of warranties from the Seller i.e. they are always sold as is. Further all lenders don’t fund such properties. Also in most of the cases, such sale is revocable in nature i.e. the seller have right to cancel the sale even after deal is firmed up, if previous owner come forward clearing their financial obligations towards their lender. Your qualified REALTOR® will always help and try protecting your interest by suggesting you the best strategies for such situations. Still not sure, if this is for you? Call me today to set up your no obligation consultation directly @ 416-738-7331. I will be happy to answer all your questions. As per latest report from Toronto Real Estate Board (TREB), released this month, Greater Toronto Area (GTA) REALTORS® reported 5,879 transactions through the TorontoMLS system in September 2012. The average selling price for these transactions was $503,662, representing an increase of more than 8.5 per cent compared to last year. 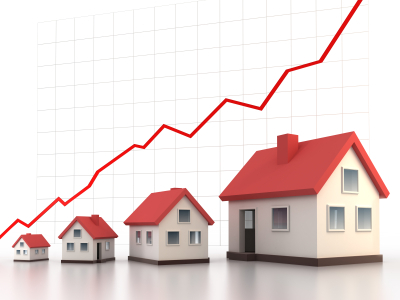 The average selling price in July 2012 was $476,947 – up by four per cent compared to July 2011. The MLS® Home Price Composite index, which allows for an apples-to-apples comparison of benchmark home prices from one year to the next, was up by 7.1 per cent year-over-year. By now, most of you must be aware of new mortgage rules in effect starting July 9th 2012. If you are not aware of these rules…..please review my June blog on the subject. In Nutshell, how these rules will effect you….will be affordability of what you can purchase. For example someone who could previously afford $500,000 mortgage, now due to new rules in effect, their affordability have dropped down to Approx. $400,000. Just to keep it simple, all these rules combined make the affordability drop by 15% – 20%. This is expected to force Bank of Canada to maintain existing low interest rates for a while. Which may encourage all major retail banks to reduce their lending rates to end consumer to reduce this gap between affordability and home prices. We can already start seeing this happening as lowest 5 Years & 3 Years Fixed rates now available currently are as low as 2.89% & 2.69% respectively. Such incentives will reduce that affordability gap by 10% – 15% instead. As summer months are historically proven to be more active for real estate business, these rules may effect the overall activity in the market, which we are already seeing happening but housing still being a basic necessity, will keep the momentum going…..even though @ slower pace compared to same time last year. Buyers may need to weight between their needs and wants and settle for less whereas Sellers may not enjoy multiple offer situations on their properties any more. In nutshell both have to tone down their expectation levels in order to accomplish the final result. For Qualified Buyers, who were planning to buy lower then their qualifying limits….this will be exceptional opportunity to secure something of their choice at a reasonable price with lowest mortgage rates. Overall, these rules are for betterment for our housing market. Precaution is better then cure!